Dr. Bruce Forster is Professor, Head of the Department of Radiology and Academic Director of the Office of Education Innovation at the University of British Columbia. He was Director of Diagnostic Imaging for the Vancouver 2010 Winter Olympics / Paralympics Games. As an Associate Member of the Allan McGavin Sports Medicine Centre, he has been involved in the clinical, educational and research aspects of sports imaging for 25 years. Dr. Forster has delivered over 400 invited lectures, many internationally, and has served as a visiting professor in Canada, the United States, South-East Asia, South America and the Middle East. He is the author of over 130 peer-reviewed scientific publications and 120 educational exhibits. He has also served as President of the Pacific Northwest Radiology Society and on the Board of Directors of the Canadian Association of Radiologists. He is currently the President of the Canadian Radiologic Foundation. 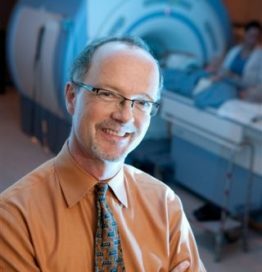 Dr. Forster is Lead Physician for ‘Choosing Wisely Medical Imaging,’ one of the most comprehensive appropriateness initiatives in British Columbia.